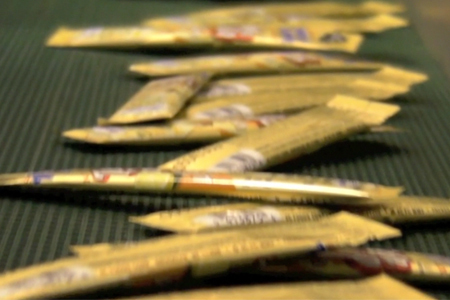 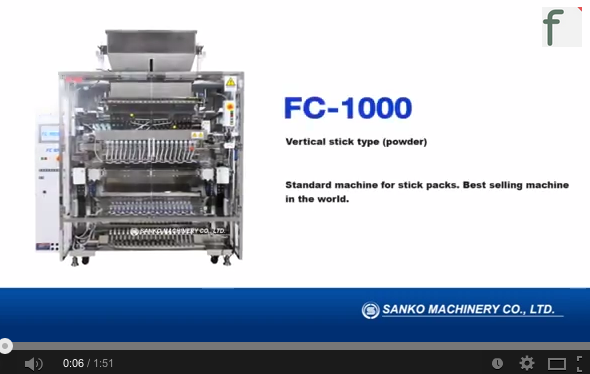 The Sanko FC 1000LP is the perfect solution for liquid filling in a stick package. 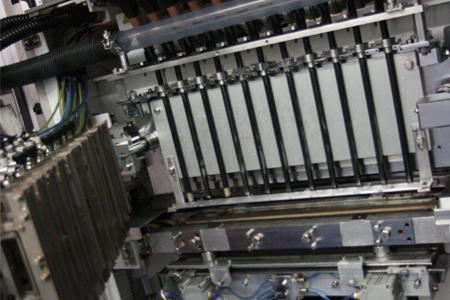 This liquid filling machine features precision digital controls, significantly reduces contamination, and is ideal for packaging liquids of any viscosity. 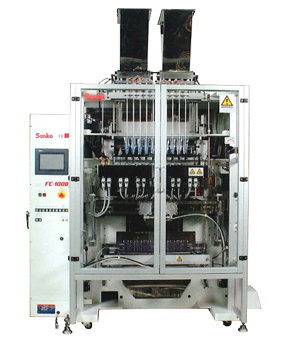 This machine is ideal for liquids of any viscosity since the filling nozzle moves up or down in synchronization with the horizontal sealing device. 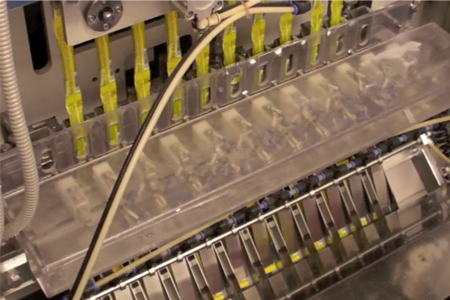 The fluctuation of speeds, upper and lower stop positions, and timing of the filling nozzle can be controlled digitally. 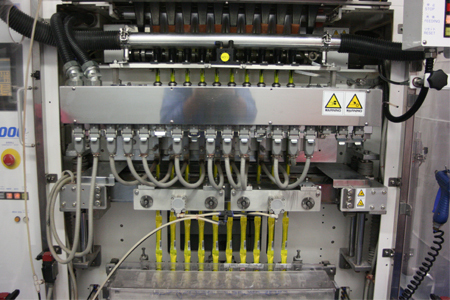 Contamination of the sealed surfaces with the liquid has been significantly reduced, since the distance from the pump to the horizontal sealing device has been reduced by installing the pump on the top of the machine.